Cambro’s ‘hot boxes’ are universally used by caterers because they do such a great job at keeping hot food piping hot. But did you know that these ‘hot boxes’ have dual functionality as well? Just as they are great for hot food, they are equally fantastic for cold food, pastries, cakes and confections. Take the case of an award-winning pastry chef and one of the world’s premier cake decorators, Reva Alexander-Hawk, owner of Merci Beaucoup Fine Cakes and Pastries of Santa Rosa, California. Besides the multitude of Cambro storage containers she uses to store all of her baking ingredients, Reva swears by the many uses of her small insulated carrier, the UPC400, which stays mobile on a CD400 dolly. How does this pastry chef use Cambro ‘cold boxes’? These ‘cold boxes’ are used for cake deliveries. On a hot day, Chef Reva places individual cakes on trays in the cart to keep them nice and cool. They are always used to transport pastries for dessert tables and other fundraising events. Chef Reva loves to take these carriers with her everywhere–most notably for her numerous TV guest appearances on Amazing Wedding Cakes on WE TV. 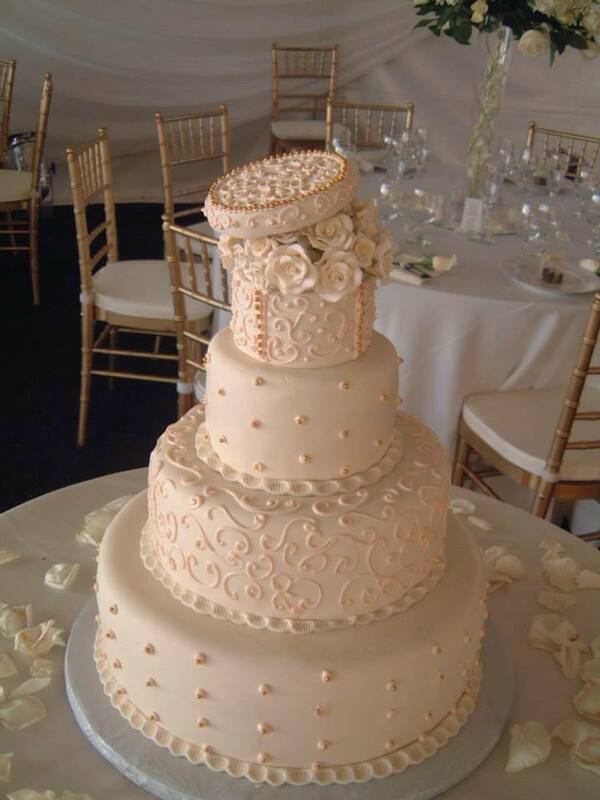 Helpful for bridal shows as well—she sets the cakes on top of them and pushes it around to showcase her creations. To learn more about Cambro’s vast line of insulated transport products that can help with your bakery operation, visit www.cambro.com/transport.